Do you like sports? Do you always travel with your sport shoes in the suitcase? Then you are one of us. At SB Hotels we promote being in good shape as well as physical activity and that is why we have developed our #WeLoveSports programme, where we foster a healthy lifestyle: all our hotels boast a gym with state-of-the-art machinery, we have specialised in cycling holidays and we sponsor events like the SB Hotels Marató Tarragona and the SB Hotels Rally Team. Travelling and practicing sport is possible. All our 4-star and 4-star superior hotels located in Barcelona, Tarragona and Terres de l’Ebre have facilities equipped with the best machinery so you can get fit whenever and however you want. You will have at your fingertips the best fitness and cardio technology of the latest generation. A good option if your goal is practising sport while discovering the tourist destination. • Bicycle storage. We have a modular space, controlled with access cards and with 24-hour video surveillance. With a total capacity for 60 bicycles. • Workshop space. Inside the hotel and located right in front of the bike storage units. 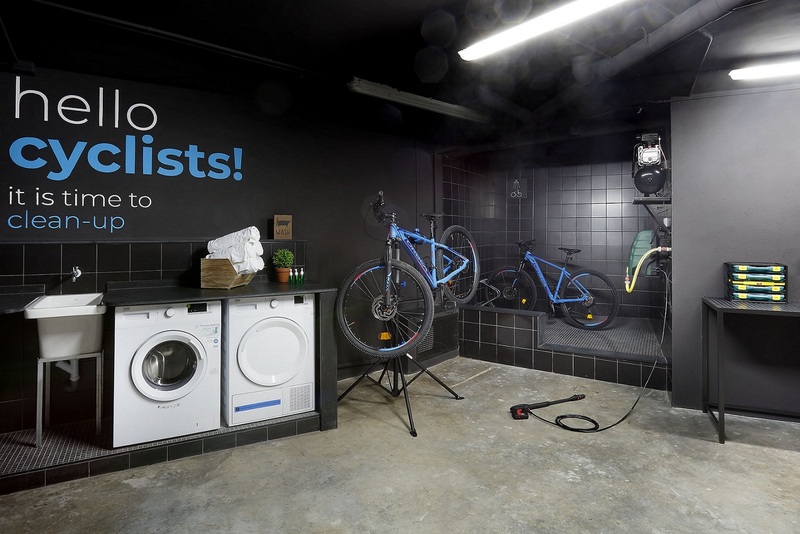 Space equipped with: Special cleaning space for bicycles, repair bench, specialised basic tools, 2 bike stands, self-service washer and dryer with coins. • Special trunk for bicycles. Located next to the workshop. It is a space designed for the special cases for professional bicycles and for any type of special equipment that cycling teams may need. • Recovery zone and treatments. Space enabled for services on demand such as physiotherapy, beauty treatments and recovery. Equipped with bathroom, 2 showers and area with couches. 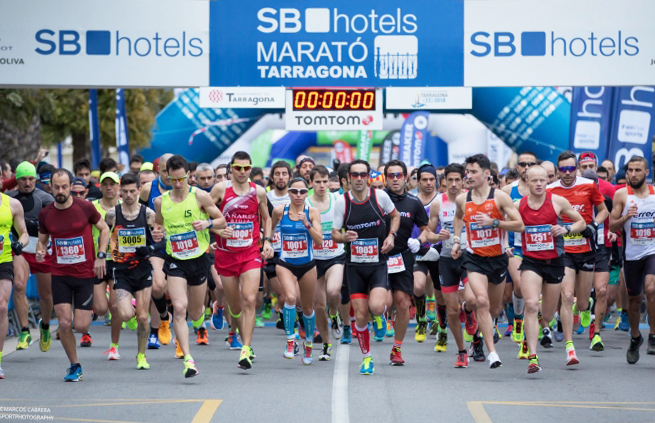 True to our roots, SB Hotels sponsors this competition that takes place every year at the end of January in Tarragona. An initiative in favour of running with which we foster a healthy lifestyle and that we promote both among our staff and the customers who enjoy our facilities. Therefore, in the previous edition of the competition SB Hotels created its own team of 37 employees who participated in this sport action.